A year into our marriage we were enjoying a life in London, desperately trying to be cool, hip and young (ish). I worked for a design company in Soho and my husband had an enviable job in the music industry working in Kensington. We began to ask ourselves the question on how the ‘Hell’ were we going to afford to buy a flat/house in the Battersea area that we lived and loved. We started by looking at London maps that got bigger and bigger. We’d already agreed we had no desire to go north of the river so that helped to halve the map but going deeper into the unknown , the south felt daunting. Being at the height of our social whirl within our chosen professions, we were scared the travel options were going to cripple many of our relocation choices and it did. Being in the music industry, late nights were an accepted part of the deal for both of us going to gigs and socialising. We had to be able to get home all through the night and going too far from the centre was going to mean 'Taxi Hell’. We started examining the train routes closely around London and came upon the London Gatwick Airport trains that run all night. Eureka!! This Eureka moment gave us a whole train line that opened up new locations running straight out of London, whilst leaving one proverbial ‘foot' still in London that we needed for our jobs and other after hours commitments. We now had the dilemma of what kind of property we wanted. My husband and I were both brought up in 3 bedroom semi's and even though both of us had wonderful childhoods, we were not ready for the mundane Middle England ‘living’! 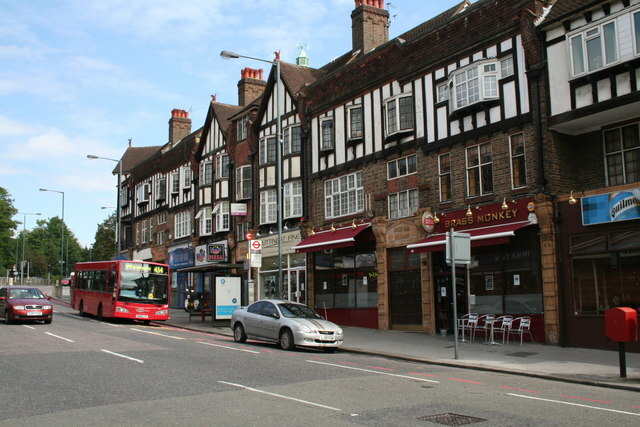 We found a great town directly on the Gatwick line called Purley that’s still inside the M25, which somehow made the haunting phrase of ‘Once you move out you NEVER come back!’ feel less threatening and allowed us to stay within the ‘Greater London’ borders. 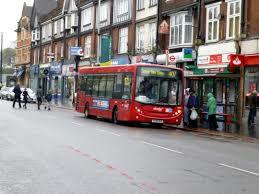 Purley has grown and flourished over the last 10 years and has a string of great restaurants and cafes. It really is ‘country-suburbia’ with rich farmland and country pubs in one direction and metropolitan urbanity and shopping the other. All of this considered - we were still struggling to fall in love with a property that spoke to our ideals as well as modest budget, until one day we found Sherwood Oaks, a Victorian Mansion that was converted into large, luxury Apartments during the 1960’s. Not sure how we came across it, but I do remember badgering (nagging) my husband for days to go and see it. We did, we fell in love, and we’ve been here 11 years. We’re blessed with a beautiful property that is active and dynamic during the day, or at night. My husband was concerned that if we bought a standard semi - working from a back bedroom or the sofa would feel pretty uninspiring - but we’ve used one of the 12ft ceiling rooms as an office and with the parquet flooring and 8ft windows it feels inspiring to work in. We’ve successfully tele-commuted with our jobs well as having that pimlico property that people walk in and say ‘WOW’ (something we could of never have afforded in Battersea) and if a last minute meeting is called in the centre of town - we can comfortably be there in 60 mins or less door-to-door. Once again we’ve decided to move, but this time staying locally, as we can’t ask for anything more of this area with countryside on our doorstep, transport connects to London and amazing schools. (Yes, we have predictably multiplied). If you want to an amazing home and a new area check out Sherwood Oaks and the CR8 postcode.